EasTor: "When mixwell told me he wanted me on the team, that really motivated me"
G2V's Rajohn "EasTor" Linato, who is currently playing the WESG EU & CIS Regional finals with the Spanish mix Wololos, was able to sit down with us after their group stage showing to talk about the tournament so far and playing with Spain's best. The 23-year-old AWPer had a good performance on the first day of the WESG EU & CIS Regional Finals, averaging a 1.22 rating over the four played maps. 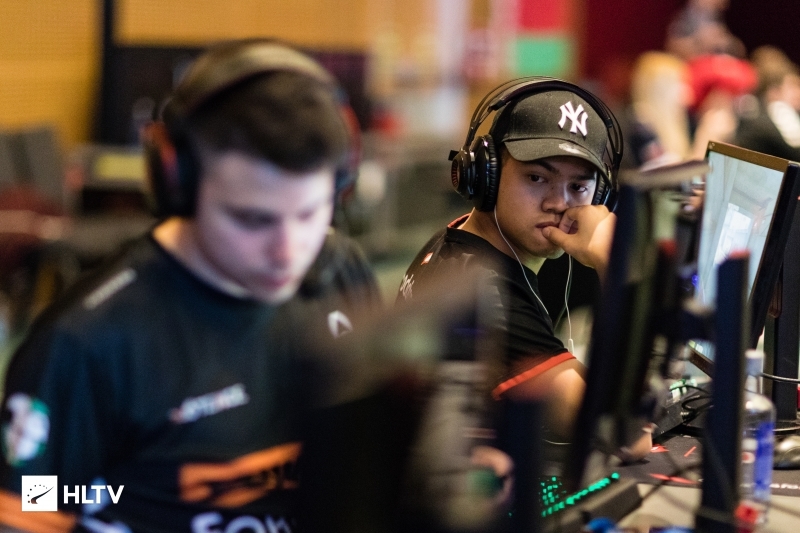 The Spanish side started the tournament with two comebacks, getting a tie in the first game against Space Soldiers and a win in the second one against BIG, both after being 12-3 down after the Terrorist side of Overpass. After Wololos finished their group stage and earned a quarter-final spot, Rajohn "EasTor" Linato sat down with us to talk about playing with Oscar "mixwell" Cañellas and Christian "loWel" Garcia Antoran, preparation for this event and the two massive comebacks they pulled off. How did you get approached to join Wololos? Oscar talked to me to see if I was a Spanish citizen, asking whether I'd have any issues playing for Spain at WESG. I told him I am a Spanish national, that I was born here, and wouldn't have any problems. He then told me he wanted to have me on the team, which is something that really motivated me because he made it out of Spain, and it's great that he showed interest in me. I didn't doubt for a second before I agreed to play because this will give me a lot of exposure internationally. I'm really happy and I want to thank mixwell and loWel, both, for thinking about me and trusting me. Have you prepared the tournament, be it individually or as a team? The truth is we haven't. We haven't practiced at all. 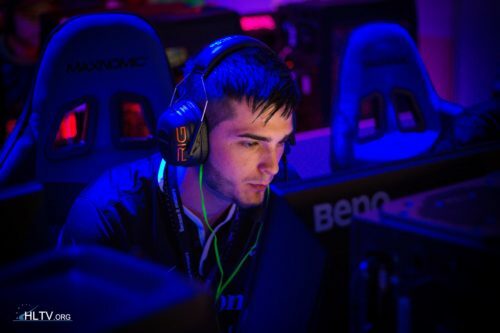 We played the Vitoria qualifier as a mix team, which is what we are, without any practice. Our coach dracU really helps us with our rivals, studies them a bit, but that's all. Individually I've just been playing with G2V, my team, and that's it. After qualifying for this tournament, what did you expect to take from it? Honestly, when we qualified we just knew we had earned a spot. We didn't want to be cocky or anything, but it was more like we were thinking that now we had a chance to show the world that Spain also has some talent and can compete against teams like the ones in Barcelona. Did you think you'd make it out of the groups when you saw the draw? When we saw the draw we thought "wow, Space Soldiers and BIG, two strong teams," but on the server, we were really confident and we knew we could surprise people and fight for the matches. I think we showed up, almost beat Space Soldiers, came back against BIG... initially, we just wanted to make it to China, we didn't necessarily think we'd win the group stage. Against Space Soldiers and BIG, the terrorist sides were pretty wobbly, but then the CT sides were really strong. What was going through your mind during the comebacks? When we had lunch before the matches, while we were talking about what maps we wanted to play and what to veto and so on, we also talked about how if we didn't tilt, encouraged each other, kept fighting even if we went down 0-10, that we could win. When we were losing 2-11 or so in our first matches, everybody was just saying on TeamSpeak "let's go, guys, come on, this isn't over!" That's the attitude Spanish teams don't have, and the attitude we need, to show some character and not throw the towel even when things get hard. What difference do you see between the usual Spanish teams, that struggle to play at this level, and the team you guys set up? I think a lot of it is about experience. For instance, mixwell and loWel have played Majors, they've played a bunch of top-flight international tournaments, and that's something that allows the rest of us to learn. That also gives an extra motivation, so we go into the server ready to give our all. Kairi, who played 1.6 also has some experience, but SOKER and I particularly, we're the newest ones playing internationally at this level, but what I think makes this team different from the rest of Spanish teams is how much we want to enjoy the game and to live the game. I think it's truly a passion for all of us here. If you had the chance to play outside of Spain, in an international team, would you do it? Without a doubt. Without a doubt. The problem is my English is a bit limited. I mean I can play and make calls, but I still have a lot to learn in all aspects of the game, but I'm going to try and still be as good as I can at tournaments like this. One day, if I'm lucky... because one also has to be lucky, I hope it can happen. Out of the group stages, what's Wololos' goal? We're just focused on going one match at a time, giving everything we have. Just that. I hope the Spaniards are able to show their skills, go Wololos! WHO: "WHEN MIXWELL TOLD ME HE WANTED ME ON THE TEAM, THAT REALLY MOTIVATED ME"
Let's go hermanos, Iberia is with you!! "If you had the chance to play outside of Spain, in an international team, would you do it? Without a doubt. Without a doubt." Well at least he is honest and said the truth. But I don't know if is very profesional to say it that way when he has contract with a team and teammates that trust him as well. I don't know whether it's profesional or not to say that but it's what they all fight for, to get recognition outside spain and be able to compete in the international stage. I've not heard his English, but after reading it it seems quite good. Indeed it is a translation.